OCast oueja, Gall ovella, Leon. ovella, ougüeia, ugüeya, uveya, Maragato (León) oveya, oubeua, oveia or doveia, Eng. sheep. During the Middle Ages, lamb was more commonly eaten than veal or beef as the cow was no bigger than a dog, which yielded much less meat than the lamb. 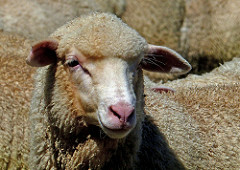 The Spaniards were very popular for developing the merino lamb, which was developed by the Phoenicians, Greeks, Italians and Spanish but the Hispano-Arabs introduced an improved the breed between the 8th-13th C to produce the best wool of all varieties. Select a fat lamb. Remove the entails. Put the lamb in a pot and pour boiling water over it. Remove wool. Clean and stuff with aromatic spices, oil and murri. Beat a egg with aromatic herbs an add this to stuffing. Sew up the stomach, the neck and any other openings to prevent grease from coming out. Place it in a tannur oven  and roast until done. Remove from heat and carve with a sharp knife. Sprinkle with ground salt, pepper and cinnamon. 2 ½ boneless leg of lamb was used as a whole lamb was not available. Unfortunately. the lamb came prepared and stuffed in a net. 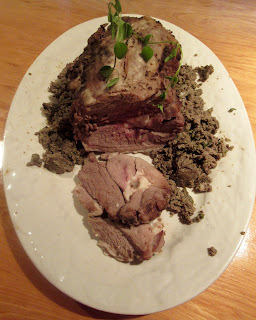 All the stuffing, spices and herbs, were mixed together with the blood from the cut of lamb. This was heated until a paste was formed. 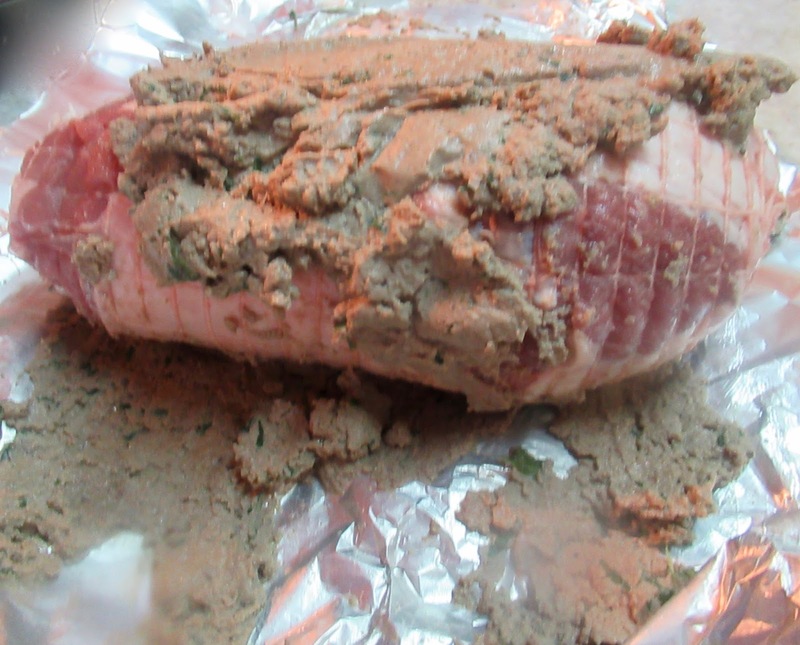 The paste was spread out on aluminium foil and the roast was placed on top. Then the foil was rolled to cover the roast with the stuffing. A conventional oven was used as a tannur was not available.